During my first year at UMD, I experienced a dip in confidence, after all the fun and excitement of a new school and new adventure wore off. What can I do to build up my confidence? Well, I thought, who do I think is confident? Leaders. Next, I found myself sitting in a chair at the CEHSP advising office asking if there were any courses in leadership, even outside of my psychology major. My advisor pointed me in the direction of UMD’s Kirby Leadership Institute (KLI). After asking lots of questions, and being assured that there was no penalty if I ended up not completing the requirements, I joined. I’m so glad I did, and here are my top five reasons to join (in no particular order). KLI is a co-curricular certificate program at UMD and is FREE of charge to ANY UMD undergraduate who wants to participate. Kirby Leadership emphasizes diversity and inclusion, as well as hands-on experience with leadership through service in the community, both at UMD and in Duluth. When asked why volunteering is important to Leadership, Joie Acheson Lee, Associate Director for Leadership Development, and Coordinator for the Kirby Leadership Institute stated, “volunteering helps you practice [your leadership] skills and gain experience” in your field. As a college student who as spent most of my life inside a classroom, sometimes it can be hard to see myself as anything more than a student. Getting outside of the classroom, as a peer mentor, and in other roles, helped me put my learning into practice and helped me expand my view of myself as more than just a student. Using your strengths helps you grow and build on them. Talking with Joie, it is very clear that KLI is passionate about empowering students and young adults. Joie says “we want students and young adults [to] have a sense of their own worth.” The fact that we bring unique experiences, skills, and abilities to all our endeavors. For me, KLI was the push I needed to step outside my comfort zone and take a more active role in the communities I was a part of. It opened my eyes to the opportunities out there that fit my interests and I could bring my skill set to. Being more invested in the community helped me meet so many awesome people and become aware of the power I had to impact my community and my life. They also emphasize equity, diversity, and inclusion helping individuals to become more aware of others and more inclusive in how they lead. One thing I have learned while in KLI is there is not just one way to be “a leader.” Leading is about doing what you can where you are to help others and the community. KLI sees everyone as leaders and believes there are leadership opportunities in every field. KLI provides a way for you to document the leadership activities you are already involved in or will be during college. With its emphasis on community involvement, any unpaid work you do is considered volunteering both on and off campus. This can include practicums, job shadowing, unpaid internships for your major/field, and taking a leadership role within a club or on-campus. Many of us will do one or more of these things as part of our college career and the Leadership Institute wants us to see how valuable these activities are in shaping us as leaders within our fields. KLI is a co-curricular activity and not a minor, which affords it the ability to really tailor your leadership experiences to who you are, what you’re interested in, and the strengths you have and want to build on. When I first thought of leaders, I automatically thought, those are the people who go into things like management. I didn’t think there were many ways someone with a psychology major could exercise leadership. I am interested in helping people, so I have picked opportunities in line with those interests. 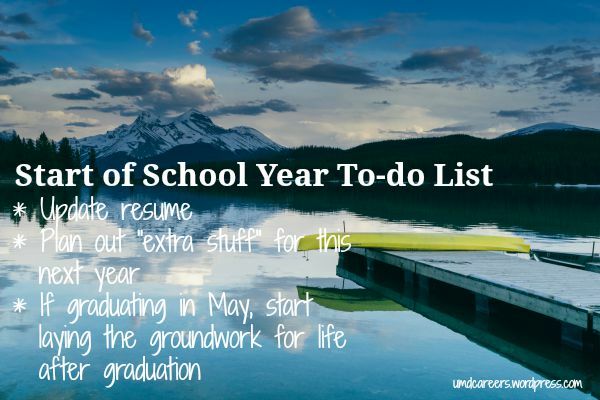 Also, you have your entire college career to work towards the leadership certificate AND because much of it includes things you already would be doing throughout college regardless, it is achievable! Any activities you are involved in throughout college can be a springboard for your future. KLI has crafted the program with that knowledge in mind. After completing the program, they help you create a portfolio of all your leadership experiences while in college. Not only is it cool to look back and realize all you have accomplished, it is something you can leave with potential employers at job interviews. When asked what experience you have or how you have demonstrated leadership, you can only speak for so long. The leadership portfolio is a document that speaks loudly and clearly about your skills and abilities and how you have gained and used them. The leadership portfolio cannot replace a well-crafted resume, it does enhance it though; and as an addition to your resume, it can help you stand out. The leadership portfolio is something unique, created at UMD for UMD students. Employers see thousands of resumes, chances are they haven’t seen a leadership portfolio. I 100% guarantee you, you are already leading. Joie’s take on it is that “Leadership is the ability to influence others,” a set of skills that can be learned and not something that is just for the few. If you think about it everyone has influence in someone’s life. Siblings influence each other, friends influence friends, you influence yourself and the choices you make. Leading doesn’t have to look a certain way and leaders don’t have to be alike. “There are as many styles of leadership as there are leaders,” Joie says. I joined KLI simply because I didn’t see myself as a leader. Joining has broadened my understanding of leadership and encouraged me to see it in new ways. It has helped me give myself more credit for the work that I do and increased my confidence by pushing me out of my comfort zone. Whether you are part of KLI or not, I hope you to see the value you bring to everything you’re a part of, and if you don’t see yourself as a leader, I encourage you to look again. Learn more about the Kirby Leadership Institute and the Leadership Certificate. Jobs are such an important thing to have in college. They allow you to meet people with similar interests, they allow you to network, they teach you the value of work, and they pay you. These are all super important things for every college student. As you probably know, there are a million types of jobs out there, but I’m going to tell you why working on-campus is so beneficial to me. I currently hold two jobs on campus in the Career and Internship Services office and at the Kirby Welcome Desk. Both of my jobs are front desk jobs so it is essential for me to be able to communicate, provide excellent customer service, and really know what’s going on around campus. I am super busy all the time but I love both of my on-campus positions and here is why! Working on campus has allowed me to meet so many people. These are people with similar goals, similar work ethics, and they are there to talk to for whatever I might need. These people are also a huge resource when it comes to things like advice, networking help, or just picking you up on a bad day. It is also helpful to have these people for things like clubs and getting involved in events on-campus. Working on campus is a great way to stay involved in campus life. I really know the ins and outs of what is going on most of the time. I also have been able to take advantage of the many resources campus has to offer because I am involved in most of them. I know so much more about my campus and show so much more pride in my school because I am so involved in it. Working on-campus has opened so many doors for me. It has taught me about who I really am and what my strengths are. It also has taught me the value of hard work and of taking pride in what you do. On top of these, it has also brought about so many networking opportunities and of course, I have great things to put on my resume. What I’m trying to say is, take a look at working on-campus. You may think that you don’t qualify or that you won’t get the job but that isn’t always true. Take a shot and apply for some on-campus positions, because trust me they are so worth your time! When you first read the title of my blog post, you probably laughed, I know I would. Life lessons from working that boring, part-time retail job in high school, really? I did not enjoy my time while working in the retail industry during high school, but at the time it was the only job I could get unless I wanted to work in the food industry, which I thought was worse. But looking back at it now, I realize it taught me so many life lessons that I still use today, seriously! Communication skills are great for any career! But I learned a lot of my communication skills from my retail job, it was also one of my first jobs. Working in retail made me develop into a people person. You have interactions with people every minute while working, whether it is with customers, co-workers or your boss, you are constantly talking and interacting. You also have to walk up to strangers to check in on them or help them find what they are looking for, this sometimes pushes you out of your comfort zone, but in the long run, it is great for your character. In retail, you often get angry or upset customers. At my retail job, the store had a lot of coupons, but along with those coupons came brand or clearance exclusions in the fine print on the back. Let me tell you, the customers did not like this, and they did not understand that as just a sales associate, I did not make the rules to the coupons. This was personally the worst part of my job because I had to constantly deal with angry, yelling customers, but I had to stay calm and patient. Overcoming these rude customers helped me learn techniques to be the bigger person. Which can translate to how to deal with anyone acting rude or in stressful situations. It is true what they say, kindness is contagious. Simply smiling, greeting or thanking someone can get you far not only in retail but anywhere else. It also helps to keep yourself positive at work, which is a great way to put yourself in the right frame of mind for dealing with anyone, especially those rude customers. Do not take this lesson with a grain of salt, because it can help you in any situation, not just work ones. This is learned so easily because there is always so much to do in retail, especially on a weekend. You are usually assigned many tasks to do during your shift, but you also have to juggle tending to customers and keeping the store neat. You also learn to adapt and manage your time. Working in retail means you are working with many people at once, especially in a department store. This means you should work as a team and get along. If you don’t respect your coworkers or get along, it will make for a slow and dreadful shift. Respecting co-workers and team members in any work setting is a must. Throughout my time in college I have experienced the unique aspects, triumphs and challenges, of both on and off-campus jobs. Previously, I covered a few pros and cons of on-campus jobs, and as I love sharing my learning experiences, I have also compiled a list of a few pros and cons of off-campus jobs for round two. Again, this varies from job to job, but chances are greater that an off-campus job will pay more than minimum wage. I LOVE my campus! But let’s be honest, when you haven’t left it for a while you can start to get a little cabin feverish. People from back home ask you what things are like in your college’s surrounding city and you wonder if you even know anymore. Working off-campus is one way to get you out and about in the surrounding community. Also, any job is great for networking, but off-campus jobs provide an excellent way to network with people in the surrounding community. If you find a job related to your field, it is a great way to see if this is really the field for you. Working in an afterschool program/daycare I got A LOT of unexpected and great hands on experience with child and school psychology work. I would not trade what I learned there for anything, but I also found out that working with kids daily can be draining, and it helped me decide if I wanted to do that kind of work as a career. Jobs can solidify your choices, give you more to think about, and if you decide you want to go in a different direction that is invaluable knowledge as well. Off-campus jobs do not automatically take time off for school breaks, and you might be competing for time off with other co-workers during these times or high-stress weeks like finals week. I recommend asking for time off well in advance when possible. Although each job has varying levels of flexibility. My job in retail was more flexible with scheduling than my daycare job, which was scheduled five days a week for the same block of time each day. With an off-campus job you are going to need reliable transportation, whether it be by car or by bus. Commute times might be longer, which also takes time out of your day. My commute to my off-campus job was 20 minutes one way. Which adds up to a little over three hours a week. I did not mind it, but I could have also used that time to study, be part of a club, or hang out with friends throughout freshman year. Also, my freshman year I got in a car accident that totaled my car. I had to find rides to my off-campus job for a few weeks until I could get a new car. Needless to say, the ordeal was a hassle, and there were a few times I had to call in saying I couldn’t come in simply because I couldn’t find a ride that day. (I hope this never happens to you, but it was an eye-opening experience of just how important reliable transportation truly is in daily life). Because on-campus jobs are generally more flexible and close, you could potentially fit the same number of hours in in-between classes over shorter shifts than with an off-campus job. Shifts for work off-campus will probably be in four or eight hour blocks of time, which mean that your time management may need to be tighter. All things considered, working during school, whether on-campus or off, can be a beneficial experience. Both give you great knowledge and skills, build your resume, and teach time management. Of the two, one is not inherently “better” than the other. One may just fit your needs better than the other. Each person has their own amount of activities they can put on their plate without being overly stressed. So, look at what you need. Maybe you need the greater flexibility afforded by an on-campus job because you are involved in campus clubs and organizations too, or you want more time to study and still have time to sleep and hang out with friends. Maybe you really want to get involved in the surrounding community, so you go for an off-campus job. You are also going to want to consider the job itself. Your needs/wants may also change down the line and you can always change what you are doing. The most important thing is that you enjoy the job you are doing and are still able to have the work-life balance you want. Before college, I had little direct experience with the working world. Sure, I babysat for neighbors and my little brothers’ friends, but college is really where I jumped in. The process was daunting at first, but I knew I wanted (and needed) to work. Coming into college, I was against the idea of me working an on-campus job. I thought it would be weird to work where I went to school and I liked having my life compartmentalized. I had an off-campus job at a daycare/afterschool program working five days a week, over the same block of time during my freshman year. Since then I have also had a couple on-campus jobs (including my internship with Career and Internship Services). Drawing on these experiences I have listed a few pros and cons of on-campus jobs. College basically is a full-time job. We work very hard even if it is not a paying job. Getting our degree is a priority and on-campus jobs understand the weird schedules that go along with being a student. Got a fabulous spring break trip planned? Want to go home for the entirety of winter break and visit family? That’s awesome! And you know you won’t have to fight anyone for the time off. Unless you live off campus, you could walk to work, which would save you the hassle of finding reliable transportation, paying for gas, and/or figuring out bus schedules. Logistically, you will also have to go through the job search process that, with on-campus jobs, won’t require transportation. This can vary from job to job of course, but the chances for more than minimum wage are higher with off-campus jobs. Both types are good for having some spending money to buy groceries and go out with friends on weekends, but off-campus jobs may provide more to your bank account. While I wouldn’t discount the many opportunities that may be related to your field of interest on your college campus (research assistantships, TA positions…), AND the number of great transferable skills any job offers…depending on what you’re interested in, you may find more directly related opportunities by looking for work off campus. Turns out on-campus jobs are not as weird as I imagined as a freshman. I’ve met really awesome people through my jobs on-campus and gotten more connected to campus. I have also met really awesome people through my jobs off-campus as well, and in my next post I will be discussing some pros and cons of off-campus jobs. What is the one thing that you remember most about touring colleges? Was it the size of the dorms? Was it the food served in the dining hall? Was it that the school had the program that you really wanted to be accepted to? Well for me it was all summed up into just two simple words, GET INVOLVED. Every college I went to and every tour guide I talked to talked about the advantages of involving yourself in clubs and activities on campus. By the end of my college hunt I felt like I knew every club at every school and I felt like I was the fountain of “get involved” knowledge, so to speak. Well, when I finally got here I didn’t use my so-called “knowledge” like I should have. During my freshman year, I told myself that I would put myself out there and get involved in everything I could. I went to the activities fairs and thought I knew what all my options were based on the information from the tours. Then when the time came to sign up for all these clubs, I just simply didn’t join. I couldn’t exactly pinpoint the reason that I wouldn’t push myself to get involved, but I think it was mostly that I made a lot of excuses for myself. Some of these included wanting to do well on my homework, being scared to meet new people, and overall just feeling dorky for joining something I had no previous friends in. The funny thing is, most of the time I just sat and did routine Netflix marathons and didn’t acknowledge my homework during that time. I also didn’t branch out and make new friends, I stuck with my high school friends and really I was kind of miserable. I wasn’t getting all the things that I thought I would be getting out of my freshman year. I saw everyone else with new friends and having the time of their lives, so this year I decided to make a change. I am currently in my sophomore year, and this year I have involved myself in more ways than I can count. I have really immersed myself in the business school and the clubs that it offers because I think it is so important to get involved in clubs that relate to your major. I am currently in Women in Business and the Student Healthcare Management Association. They have taught me the value of putting yourself out there and getting yourself involved with people in the business field. This doesn’t just apply to business majors either; I cannot emphasize enough how important networking is for EVERY MAJOR. It is also great to get involved with clubs in your major or collegiate unit because you can get together and talk about your fears, struggles, and your future because they are all in the same boat as you and talking is one of the most beneficial things you can do! I also was recently accepted into a study abroad program through the business school and I am so excited to see all of the new opportunities it brings me. I know I am just highlighting the clubs in the business school, but I promise you that your collegiate unit has a club too. In fact, they most likely have one for your major! If you don’t want to get involved with clubs in your major, there are SO many other clubs and activities that are out there for you to get involved in, you just have to be willing to find what you like! Don’t be like freshman year me and take your opportunities for granted! Though I never thought I would emphasize it this much, there is so much to be gained from GETTING INVOLVED. Why Should I Get Involved on Campus? Summer is just about over. In fact, the freshman class moved onto campus yesterday. Here at Career & Internship Services, we want you to be as prepared as possible when it comes to tackling the next school year. Update your resume. Add your internship, study abroad, or summer job. Strengthen your descriptions for the positions you already had listed on your resume. Need help finding room on your already packed resume? Resume drop-ins will start the week of August 31st. Formal resume drop-in sessions happen every Tuesday and Wednesday afternoon (2-4pm in SCC 22) while classes are in session. A little known secret is that you can stop by anytime we’re open (M-F, 8-4:30pm) to have a trained Peer Educator take a look at your resume. Plan out your “extra stuff” for the upcoming year. Work on building your resume. Get involved in a student organization. If you’re already a student org or two, up your level of involvement (help plan events, run for an exec board position, etc.). Find an internship, research opportunity, or volunteer position. These all look great on a resume and help you in figuring out what life after graduation might look like. If you’re graduating in May, start laying the groundwork now. Figure out what you want your next step to be. You don’t have to have your whole life figured out. Just work towards the next step. We can help you put together a job search plan or apply to grad school. Take a look at our “By Major” reports to see what recent UMD grads with your major have done 6-12 months after graduation. Other resources to help you: events schedule; Pinterest boards with articles; grad school exploration; GoldPASS (the job & internship board for all U of MN students); Twitter (@umdcareers) for office happenings, events, opportunities, and more; LinkedIn group to connect with peers, UMD staff & faculty, alumni, and employers; and our website. Ultimately, we want you to have a great school year. Embrace your future with confidence.